This week I decided to look in to low carb diet’s and what it does to our bodies, not only doing research in to a keto diet but also try it out myself so I can tell you first-hand what the effects are and Is it worth it?? So straight away I knew from search low carbs = losing weight. Carbohydrates is an important food group. 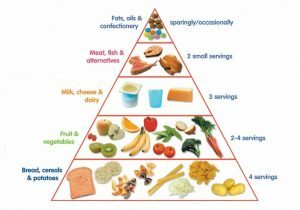 In fact, if you look at the Standard American Diet, better known as the food pyramid, you’d be excused for thinking that carbs are the MOST important food group! The SAD recommends that 45-65% of all your calories come from carbs, mostly grains. And yet, if you want to lose weight, you are eat less carbs? So what is the truth? Should you follow a high carb diet or low carb diet? I must admit, I was once really confused by carbs. Carbs are low in fat so they are healthy BUT sugar is also a carb which is unhealthy. With all that to consider, it’s hard to know whether carbs are good or bad. Good carbs vs. Bad carbs for weight loss. Part of the reason that carbohydrates can be a confusing subject is there are “good” carbs and “bad” carbs and even the so-called bad carbs can be good in certain circumstances. Just like there are different types of fat, there are different types of carbs. Some foods are very high in carbs and, as a result, are not very good for weight loss. On the flip side, some foods are low in carbs and are GREAT for weight loss. So, if you are interested in weight loss, like so many of us are, cutting down on certain carbs means cutting down on calories and if you replace those carbs with lots of lower calorie “good” carbs, you can cut your calorie intake without eating a smaller volume of food. Cutting down on these foods is an easy way to cut calories but, I know, many of you will eat a lot of these foods because they are so common and a big part of many meals that you enjoy. Don’t worry though – you don’t have to give them up completely. Low carb dieting works for lots of reasons which is why many of the bestselling diets use this approach. They don’t only work by cutting calories either; low carb diets help you lose weight by stabilizing your blood glucose, lowering insulin levels, reducing cravings, and filling you up with healthy, calorie-free fibre. But, the trick is, what do you eat instead? Just cutting out carbs can leave a big hole in your meals leading to hunger and cravings; not good! That’s why you need to know what low carb foods you can eat instead. Low carb foods are lower in calories so you can eat plenty of them without consuming a whole lot of unwanted energy. The result? Fat loss without having to starve yourself! Talk about the perfect weight loss solution. All meats, but try to buy free range, grass fed meats. Look out for free range pork as there are still some that aren’t. Fish – salmon, snapper, frozen shrimps, mussels, hoki, tuna, sardines and all fatty omega 3 rich seafood. Avoid all processed battered or crumbed fish. Eggs – have these boiled, fried, omelette, scrambled….. So Now you Know a little information on Carbs and what is involved in a low carb Diet. Beth’s Experience with low carbs. Dinner – Chicken and veg. Feeling extremely hungry, really badly craving carbs and sugar. Feeling super hungry and got a massive headache feeling like it’s not worth it! Feeling super tired today but hungry & cravings are not as bad still have a headache. Feeling like I have energy today, headache has died off and I don’t feel dizzy when exercising anymore. Feeling full after meals. Full of energy, small cravings but nothing big. No more headaches! Dinner – Tuna and green salad. I am Going to continue with the low carb diet until Christmas and wait to see the results I have in 6 weeks’ time! Try it out yourself and let us know how you get on. Welcome to the new Planet Gym Blog! We don’t see many of these! Do YOU do them? If not, why not? Yep I do these, usually superset them with standing calf raises! Good, but imperative you get the movement right or you can do serious damage. 🐣 We are OPEN 24hrs right through the Easter weekend...as always! Are you open as usual over Easter or shut Sunday? Planet Gym shared a Page. Congratulations on the new salon girls! We are a small but unique hair salon dedicated to bringing a bit more glamour into the world. Fully qualified in colour & styling, we have worked on many exciting celebrities for red carpet events, photo shoots and TV. Book in now, we'd love to meet you!